I was born and raised in Texas, and though I’ve lived in many other places since, I always look forward to going back. Perhaps this is conditioned by my training in architectural history, but representations of buildings, spaces, and landscapes become my primary means of transport. 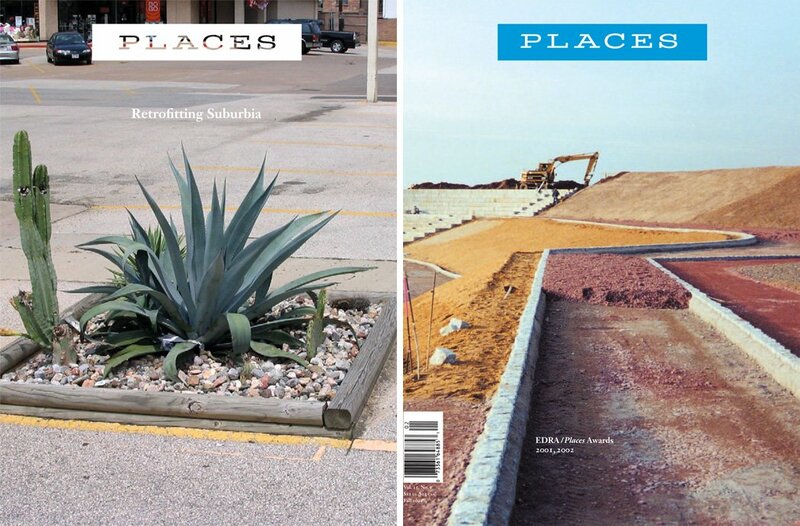 Places is Texas-friendly, and to continue that trend, I offer a “reading list” of sounds, words and images (some still, some moving) that will give you a sense of the natural and built environments in Texas. Geographical distribution is, of course, vital—most major Texas cities appear in the list below (diehard Texas cinephiles may note the absence of The Legend of Billie Jean , filmed entirely on location in Corpus Christi). My hope is that the combinations of levity and topicality, fiction and reportage, as well as the oscillations between scales, from industrial objects to entire geographies, will entice you to think about how you view your own environments. After the architectural plans for Shepherd Wong’s house in Woody Allen’s What’s Up, Tiger Lily (1966) and the under-scaled model for the Derek Zoolander Institute for Kids Who Can’t Read Good from Ben Stiller’s Zoolander (2001), the “Alamo Tour” from Tim Burton’s Pee Wee’s Big Adventure (1985) may be the best architectural joke in cinema, full stop. Plus, it was filmed in San Antonio. Brantley Hightower is a principal in HiWorks, an architecture office based in San Antonio. In this piece for The Architect’s Newspaper, Hightower provides a searching and critical account of how the oil boom—and fracking— along the Eagle Ford Shale have altered the natural and built environments between San Antonio and Laredo. Williamson, an architecture professor at Cornell, describes his travels to Midland, Texas and the Davis Mountains for this first commission: the design of a gravesite for an oil heiress. I include Shane Carruth’s films to convince you to watch his work—often. His films are challenging yet rewarding, and both are set in Dallas. In Primer (2004)—perhaps the best film about time travel film ever made, a group of software and IT try to fathom the consequences of a time machine they created by accident. Upstream Color (2013) is a beautiful, moody speculation on human nature, environment, and memory brought about when a chemical is intentionally introduced into the water supply. Both films use the strip malls, office parks, and public storage facilities in Dallas to portray a city which may be ever so slightly in the future. Lone Star (1996) is my favorite film by John Sayles not just because it is set along the western areas of the Rio Grande River Valley, but also because it presents a nuanced view of the history of White/Latino relations in this part of the state. Filmed throughout Val Verde, Maverick, and Webb Counties, Sayle’s landscape-sensitive vision portrays the arid, mesquite lands in South Texas as the backdrop for a dramatic and urgent meditation on the meaning of history. Some of my earliest memories are from airports, especially city-hopping around Dallas, San Antonio, and Corpus Christi in the “Flying Colors”-themed Boeing 727’s and Douglas DC-8’s operated by now-defunct Braniff Airlines. Leave it to architectural critic Mark Lamster to give an entertaining and meaningful account of the Park Gate Retirement Home in Dallas’ Oak Lawn suburb, a building that once was a “college” for training Braniff’s flight attendants during the late 60s and early 70s. The “Braniff Hostess College” was an example of corporate branding and modernist design found a home in Dallas. Heymann is an architect who teaches at the University of Texas School of Architecture. In this piece, excerpted from his forthcoming My Beautiful City, Heymann leads readers on a meandering walkabout in the Texas Hill Country just outside of Austin, a tale that involves everything from bats, dams, armadillos, Shaker furniture, and even the AIA. Marc Maron’s WTF podcast is an absolute treasure. He is an exquisite conversationalist, as evidenced by this interview with director Richard Linklater from January. Linklater discusses his upbringing and artistic life, both coming to bear on the critically-acclaimed Boyhood (2014), shot over 12 years throughout different parts of Texas, from San Marcos, to Houston, to the Pedernales, and ending in Big Bend National Park.